Developing better money habits that lead to getting out of debt is one of those things everybody knows they should do, but sadly most don’t. I know Angie and I struggled for years with nagging debt that never seemed to go away. It wasn’t until we changed our money habits and our mindset about money that we were truly able to make a full effort at getting out of debt. We spent a lot of time putting band-aids on our finances, but never fixed the underlying problem. When it came down to it, our problem was not money, it was us. Once we finally understood we had to change our money habits, then we knew it was going to take time, effort, and (that dreaded word) change if we were finally going to get out of debt. Let’s face it, nobody likes change. But change you must if you finally want to get out of debt and stop living paycheck to paycheck like everyone else. So for this post I thought I’d give you a complete list of what it takes to develop better money habits so you can get out of debt and permanently change your future for the better! We did them and you can do them too! Yep, this one’s a no brainer! But you’d be surprised at how many people wanting to develop better money habits and get out of debt overlook this one. If you want to get out of debt, you have to stop borrowing money, period! That means it’s time to cut up the credit cards, learn how to pay cash for your cars (it’s easier than you think), and eventually get the house and student loans paid off too. You’ll never get out of debt if you keep believing you need to borrow money to live your life. Paying off debt takes time. Depending on how much debt you have, it may take anywhere from a few months to a few years to completely pay it off. That means you have to be patient and understand that it just doesn’t happen overnight (unless your rich aunt leaves you an inheritance!). Look at getting out of debt as a marathon, not a sprint. Just like in a real marathon, you may hit a wall along the way and feel like quitting. But when you decide to be relentless and continue on no matter what, you’ll finally get out of debt and practice better money habits for life! Keeping a budget is probably the best money habit you can develop. Most anybody who is financially successful understands that keeping track of your money and where it goes is massively important. If you don’t have a clear concept of where your money goes every month, then you tend to waste money without even knowing it. Whether you have a high income or make very little, not keeping track of money causes you to live paycheck to paycheck and never get ahead. 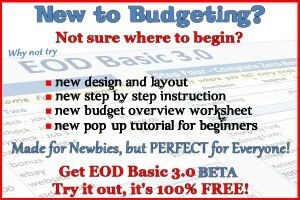 Once you learn how to make a budget, I recommend that you go cash only. Going cash only means you pay for things with cash, check, or a debit card. As I said above, if you want to develop better money habits and get out of debt for good, credit cards are no longer an option. Ditching credit cards is easy once you get used to it, but I have to admit it feels a little weird at first. Knowing your numbers is very important for keeping track of short term and long term financial goals. So what does it mean to know your numbers? It means you should know how much you’re spending on certain things so they don’t get out of hand and cause you financial stress. Knowing your numbers also means having a firm grasp of what you have, what you don’t have, and what you need for the future. How much do you spend on food? Could you spend less and put money into savings instead? How much is your net worth (how much you own minus how much you owe)? Personal Capital is an awesome (and FREE!) way to manage all your financial information in one convenient dashboard. Here’s how it works. If you’re married, it’s hugely important to be able to communicate about money and have shared financial goals. Establishing better money habits happens much easier when you have two people pulling in the same direction. Sometimes it’s hard to get your spouse on board with a financial plan, but when you both start working together, managing finances becomes so much easier. Just the act of working together on something this important can go a long way toward making a happier marriage. I cover marriage and money extensively in my CFF get out of debt course- You can find out more about it here. Money without goals is like a traveler without a destination. You can wander around aimlessly all day, but you’ll never get anywhere. This is only a short list of goals to work toward. Having focused goals for your money, how it grows, and where it goes keeps you on track for the future instead of wandering aimlessly with your finances. Develop better money habits by consistently working on your financial goals and your future will thank you! Keeping up with the Joneses is one of the worst things that get people into financial trouble. When you think you have to have the same big house and expensive cars everybody else has, you can get into financial trouble quickly. Keeping up with everybody else doesn’t work. The part that you don’t see is that the Joneses are up to their eyeballs in debt. They are stressed out, having trouble paying bills, and struggling to keep it all together (this is true even if they have a high income). Be different by spending less than you make and living within your means. People might perceive you a little differently, but that’s a good thing! Learning to embrace change is a good thing. Always be willing to change how you manage your money and how you think about finances as you gain new knowledge. Changing the way you do things is not always easy, but it gets easier the more times you do it. So many people are conflicted in what they believe about money and wealth. There are a lot of negative messages about money you hear that just aren’t true, but the constant rattle of financial negativity can get to you after a while. Money and wealth are not evil, but some people are. Learn to develop a mindset of abundance and understand that money is only bad in the hands of bad people. God wants abundance for all, and when He can trust you with it, the Bible says He will add even more to you (see 2 Corinthians 9:7-9). One of the best things you can do to supercharge your finances is to find ways to make extra money. Stick that extra income into savings and investments on top of what you’re already saving, and you’ll see your net worth grow (and your debt shrink) amazingly quickly! I’ve written a ton of articles on making extra money over the years. You can find a complete list of them on the CFF Money Making Ideas page. One of the better money habits you can ever develop is to be a giver. The Bible shows the incredible power of giving time after time. God is a god of increase and abundance, and giving unlocks the key to access all the abundance He wants for you. Giving is a very counterintuitive thing to do. You would think when you give something away, it’s just gone. The neat thing about giving of yourself and your money is that it catches God’s attention. He always ensures that whatever you give comes back to you bigger and better than when you gave it. I’ve read about it in the Bible many times, and better yet I’ve seen it proven in my own life! Better money habits start with a solid contingency plan. You always need a financial reserve available for the inevitable emergency. You know you’ll have an emergency expense to deal with at some point in the future, you just don’t know when or how much it will cost. So it’s wise to be prepared. When it comes to getting out of debt, having at least a small emergency fund is extremely important. Having that financial cushion in place helps you deal with any bumps along the way that could derail your get out of debt plan. One of the first things you have to do once you decide to develop better money habits and get out of debt is to realize that you are the one responsible for your finances. If you’re married, then it’s both of you. You have to stop blaming the government, your job, the economy, and any other convenient scapegoat. You have to put your big boy (or girl) pants on and make your financial situation work no matter what outside factors may be influencing your situation. Taking responsibility like this has an empowering effect on your attitude, helping you attack your debt so relentlessly that you won’t rest until you’re done with debt forever! Nobody who has truly become a financial success did it without developing better money habits along the way. Sure, you can get rich without ever establishing better financial habits, but the wealth doesn’t last very long. Just ask some professional athletes or the average lottery winner. Developing better habits with money is a lifelong process that begins the minute you decide you’re done living an average (broke) financial life. But once you finally start the process, you’ll wonder why in the world you didn’t start sooner! Question: Did I leave anything out? Leave a comment below or on our Facebook page with any other good money habits you recommend. Wonderful post, Jason! Developing better money habits is definitely a process. We’re three and a half years into our debt payoff journey and we are still learning new things about how to manage money better. Every tip in this post has been essential to us learning our path to financial success. The abundance mindset is huge, as is tracking spending. I would also add to start diagnosing and healing from the underlying emotional reasons that one is spending more than they earn or should. We were using spending as a way to deal with low self-esteem, stress and fear, and were living in denial of the consequences that brought on. I totally agree Laurie! We had to work on the fact that my wife grew up very poor, so there was a mindset of spending money as soon as you get it because that’s what you have to do in that situation. I think there was also a feeling of inferiority that had to be dealt with because of her upbringing. We both had to learn to gain an abundance mindset. I had a tendency to hold on to money too tightly, she handled it too loosely, so we both had to learn to change some things and meet in the middle. Great post. Totally agree with the first one!